How to write a function to convert PDF to Excel in C# / .Net Core for 15 minutes? Imagine, that in 15 minutes after reading this text you will be able to provide API for your application to read tables from a PDF and convert them in Excel-spreadsheet, using C# or VB.Net. PDF Focus .Net is standalone .Net assembly. It provides you a full set of API to convert PDF documents into Excel workbooks. 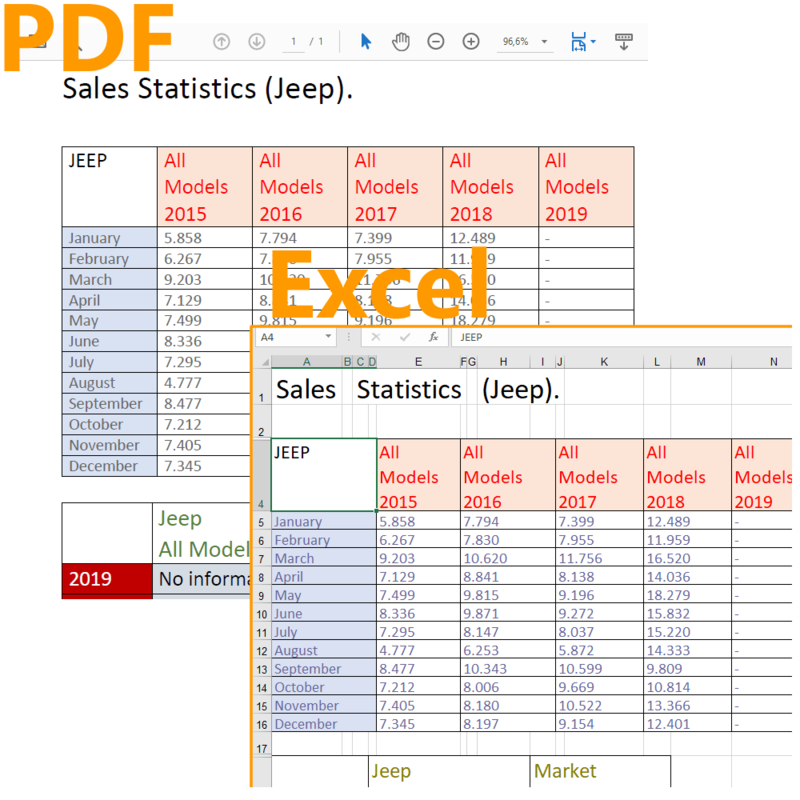 Your application will be able to recognize PDF documents with tables even with invisible borders and create from them an Excel spreadsheet. Save time and cost of the product development. The writing of own PDF converter in C# requires a lot of days of hard work and takes approx 100 000 C# code lines. PDF Focus .Net will save a lot of my time and I'll need only to add the reference to "SautinSoft.PdfFocus.dll" and write 3-4 C# code lines. The one time price. I pay a one time and can use «PDF Focus .Net» for a whole life without any additional fees. My license will never expires.